Any type of bread (white, wheat, sourdough., etc.) can be used. There's nothing wrong with combining various breads - why let them go to waste? 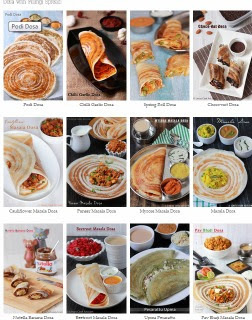 The mixture of various breads also gives your dishes some varied and wonderful taste experiences. Please, don't use stale bread in this process. Stale bread makes up for stale tasting breadcrumbs. Just store your odds and ends of bread in a large re-seal able plastic bag in the freezer until ready to make your homemade bread crumbs. 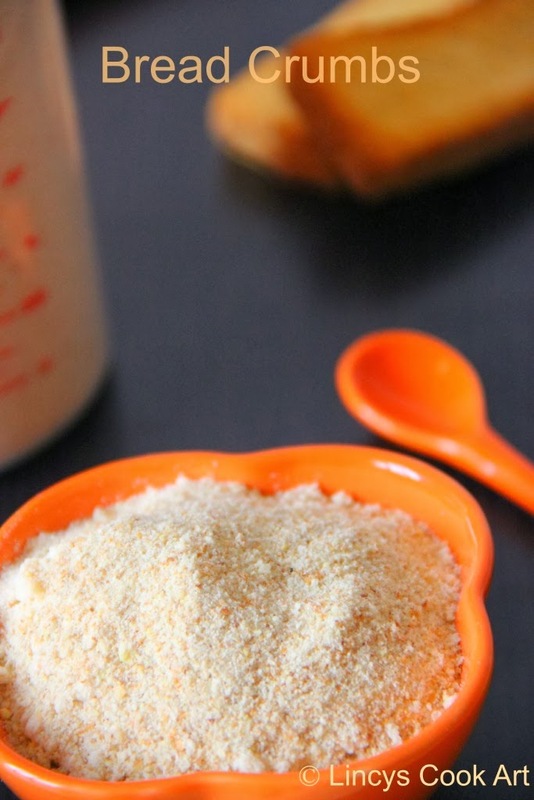 You can use toaster also to make this bread crumbs. Toast till the moisture totally leaves from bread. 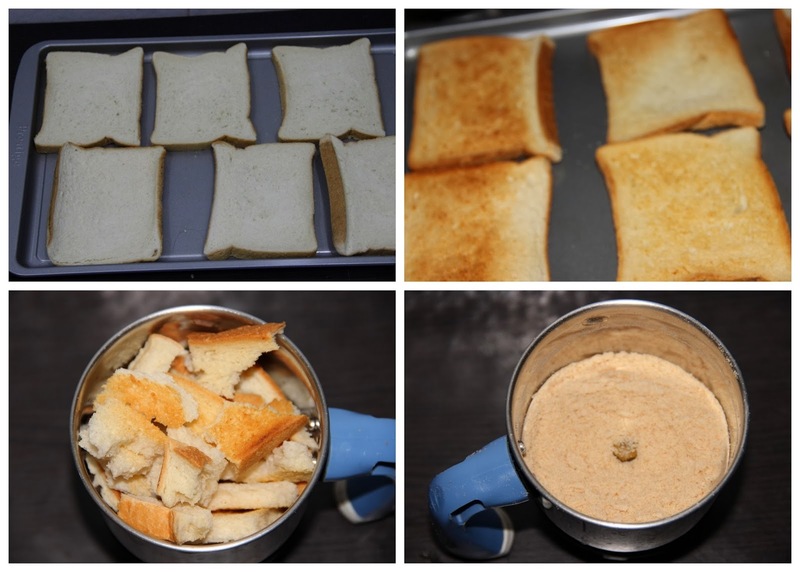 Place bread piece/slices on an un greased baking pan. Bread pieces will dry faster and evenly when they are laid out in a single layer, rather than when the pieces are stacked; allow a bit of room between pieces to dry properly. Preheat the oven to 180oC and bake the bread slices for approximately 10 to 15 minutes. About halfway through, turn them over so they dry evenly. Remove from oven and let cool. Now it looks like golden colour toast. Break the dried bread into smaller pieces and place in a blender/ food processor. Pulse until desired coarseness. Or If you want coarse bread crumbs, using your rolling pin or a large drinking glass, roll over the top of the plastic bag and crush bread until desired coarseness. hello Lincy! your blog has been nominated for libster award! Pls do collect it :) Do comment back so that I know u got the whole thing right! I use homemade they go so well when baking, spread it on chicken top. They get crispier, Yummy!